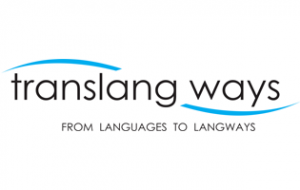 Established in 2009, TransLang Ways Solutions Private Ltd is an ISO 9001-2008 Language Service Provider which provides cutting edge solutions in E-Learning Localisation, Translation and E-Learning Content Writing. With offices in Delhi and Pune, we are pleased to serve many Fortune 500 companies. We work in more than 100 languages. We at TransLang Ways Solutions Private Ltd are committed to breaking all communications barriers which create obstacles in your business. We want the world where there are no foreign languages. We would rather like to make the world full of LangWays. Our tech-supported ways make this endeavour more accurate and fast.